[Economy 365] Automobile exhaust gas control is conducted nationwide to reduce the level of fine dust, which is the primary carcinogen. The Ministry of Environment, in cooperation with 17 cities and provinces throughout the country, intensively cracks vehicles that exceed the allowable emission standards at 430 branches nationwide for one month from now. Automobile exhaust gas control is conducted nationwide to reduce the level of fine dust, which is the primary carcinogen. 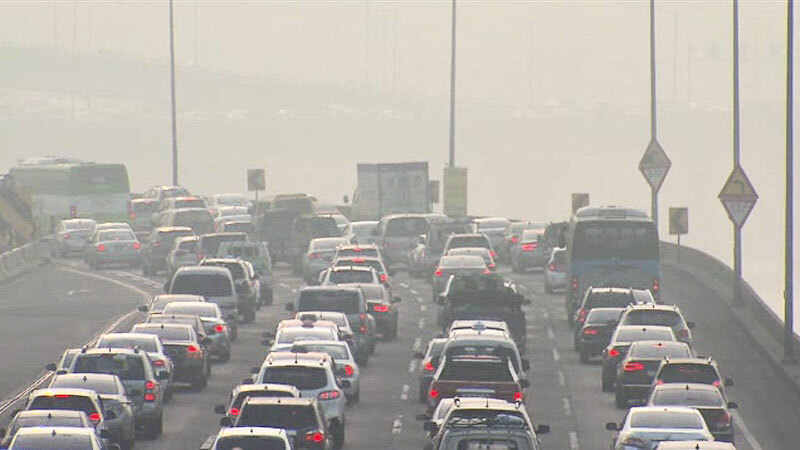 The Ministry of the Environment intensively cracks vehicles that exceed the allowable emission standards at more than 430 cities nationwide for 17 months starting from today (January 18). In this crackdown, local governments monitor the fumes of diesel vehicles, and the Korea Environment Corporation under the Ministry of Environment will measure the emissions of gasoline and LPG vehicles. The Ministry of Maritime Affairs and Fisheries conducts a trial operation of the 'Aquatic Supply and Demand Information System' website to strengthen monitoring of the supply and demand situation of major aquatic products. This system provides daily production, production, wholesale price and consumer price information of six species of fish commonly consumed by ordinary people such as mackerel, crab, squid, pollack, and guide. The Ministry of Maritime Affairs is planning to complement the system through pilot operation and improve the service so that users can use it conveniently. This project will apply various smart services to existing urban areas to improve living convenience such as transportation and energy, and strengthen local industry and cultural competitiveness. In each of the four locations, a total of 225 million won in government funding and expert consulting are provided to support comprehensive planning. The Financial Supervisory Service and Korea IT Promotion Agency developed an application that uses artificial intelligence technology to block real-time financial fraud calls. The app uses artificial intelligence to analyze key keywords, patterns, contexts, and so on to determine if a financial fraud is occurring. When the probability of voice phishing reaches a certain level, the user is alerted by voice and vibration notifications to voice phishing. We are planning to run a trial run for two to three months for IBK customers and expand it to all banks.